Hello Summer Hodgepodge | The Happy Wonderer ~ ellen b. 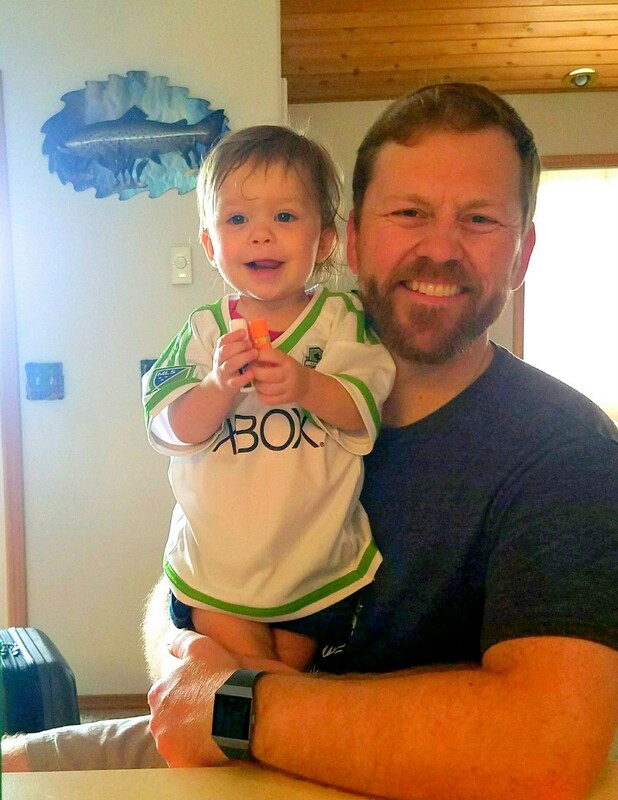 Posted on June 19, 2018 by Ellen •	This entry was posted in Addyson May, Family, Grandchildren, Meme and tagged Addy 15 Months Old, Big Bear, Black and White Photos, Camping, Phillip Phillips-Home, Wednesday Hodgepodge. Bookmark the permalink. …cutie pie has no fear! I love viewing pictures from your childhood, Ellen. They bring back memories of my own childhood. The picnic picture reminds of the wonderful picnics we would have when I was a child. 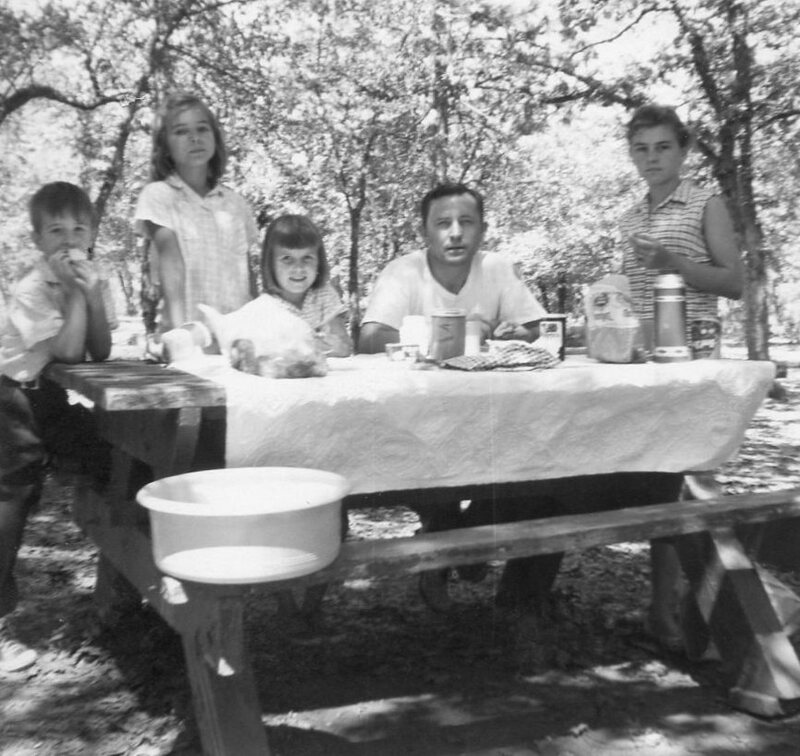 My grandmother would fix all of the “picnic food” and we would all pack in the car and head over the mountain…all except my mother. She never enjoyed eating outside like that. And that Addy! What a climber she is. I love that pose though…she’s quite a girl. Great photos from your childhood, Ellen. Addie is a little daredevil, isn’t she? On hot summer evenings my mother would pack a picnic and we would go down to Riverside Park in Kamloops, to eat in the shade of the big trees there, and take a dip in the VERY cold river. Your post reminded me of this. I hope your house soon sells. Has there been much interest? Unfortunately not much interest. It’s discouraging. I’m glad this post brought back good memories for you! Wonderful childhood photos, Ellen. You are so cute! 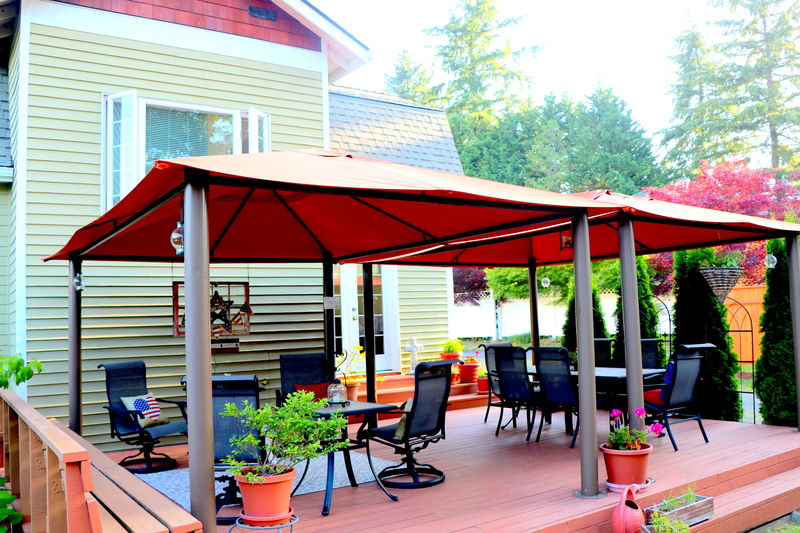 I’ve always had a backyard, so I’m sure i would miss one if we ever had to live in a building without one. My daughter was a climber, too, when she was your granddaughter’s age. I always had to keep my eye on her to keep her out of danger. That’s a big to do list. Praying it all works out quickly for you. I love Phillip Phillips song. Oh my, she is pretty daring…. Great yesteryear pic’s. Smiling at your little climber! Hope your summer bucket list can get ‘ticked off’ soon. Looks like a lovely family and it sure interesting why people read food label. I love that song by Phillip Phillips! Have you ever written about your experience in the cult? Hello Sandi, Yes I have written about some of our experience and written about my parents individual escape out of Russia into Persia when they were young. Also about how they met in Iran, got married and then came to the U.S.A. after WWII. My father has his story written and in book form for each of his kids and grandkids. I see you found my initial post about Molokans (Milk Drinkers). Maxim, the Prophet, they follow has a book called “Book of Life”. Not all Molokans follow him but the group we were associated with did. Besides the Bible on “the table” they have Maxims book also. Some smaller Molokan churches have taken the Bible off their table and only have the “Book of Life”. Many Molokans would say they are Christians. 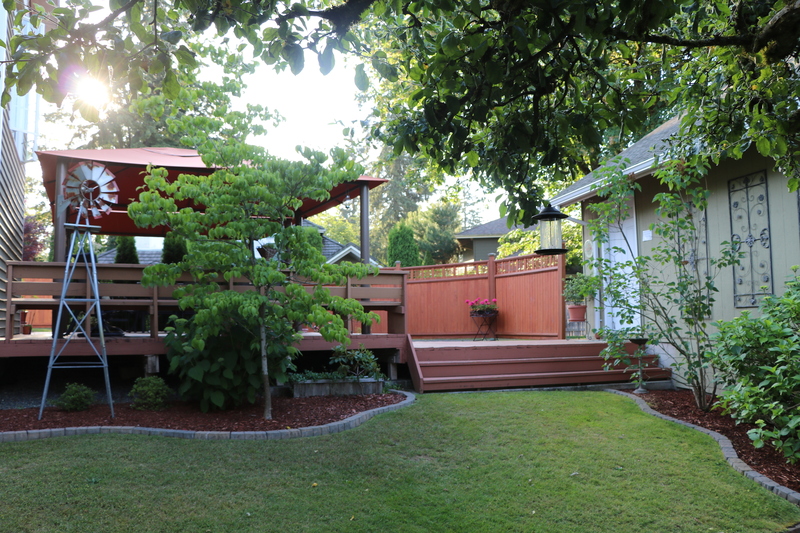 What a wonderful summer hodgepodge, Ellen! 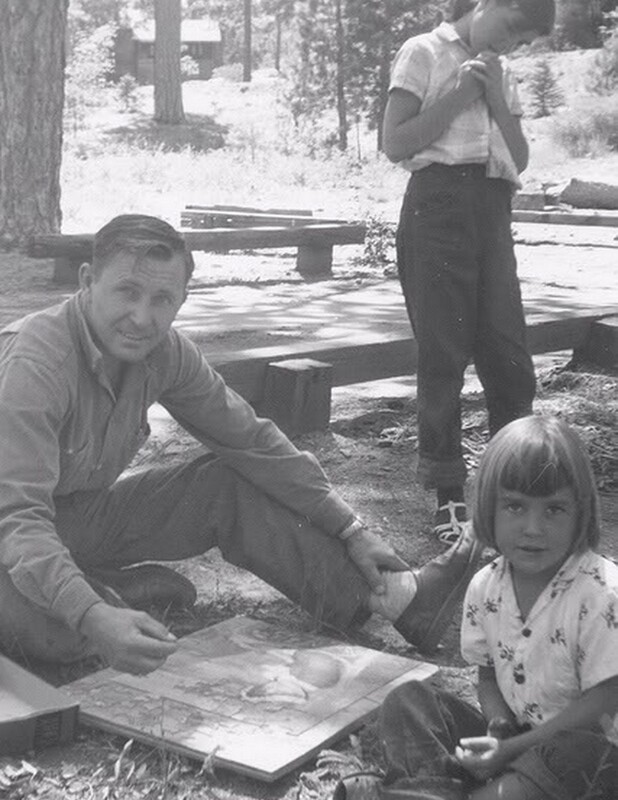 love the early camping photo of you and your dad and the lovely memory. Your granddaughter is quite a daredevil and an angel too. thanks for sharing! How is the moving phase going? Any luck? Addy is very agile and strong! A hamster ball! So funny! Hello from the Granite State. I too refrain from consuming sugar substitutes. I much prefer natural sugar. 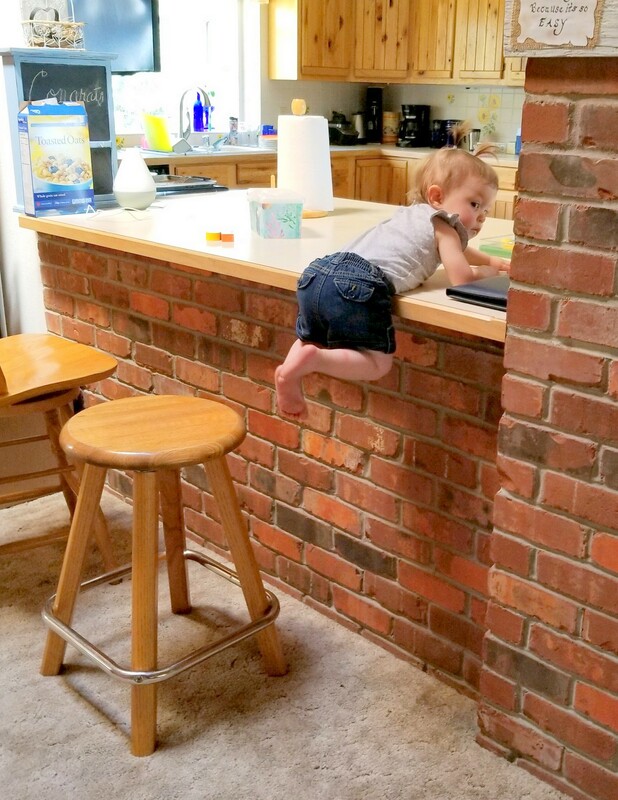 I love the photo of your granddaughter hanging onto the counter. She truly is a daredevil, and a cute one at that. Good luck with the change in housing. I hope and pray that all of it goes smoothly for you. Thank you for visiting my blog page and for leaving a comment. Enjoy your Summer. First of all, what an attractive haircut! LOL! I love that Philip Phillips song … hope your ‘home’ journey concludes soon. In the meantime, I agree with the hamster ball idea for Addy – yikes, any parent would freak at that counter photo!!! I love these fun revealing posts! I also don’t care for diet drinks or fake sugar. Real stuff in moderation or plain soda water with lime.